SCB + CAC = GOAL! September 19, 2013. Over the past three days Brian Suskiewicz and Nora Dooley have been working with Standard Chartered Bank (SCB) in Jakarta, Indonesia. 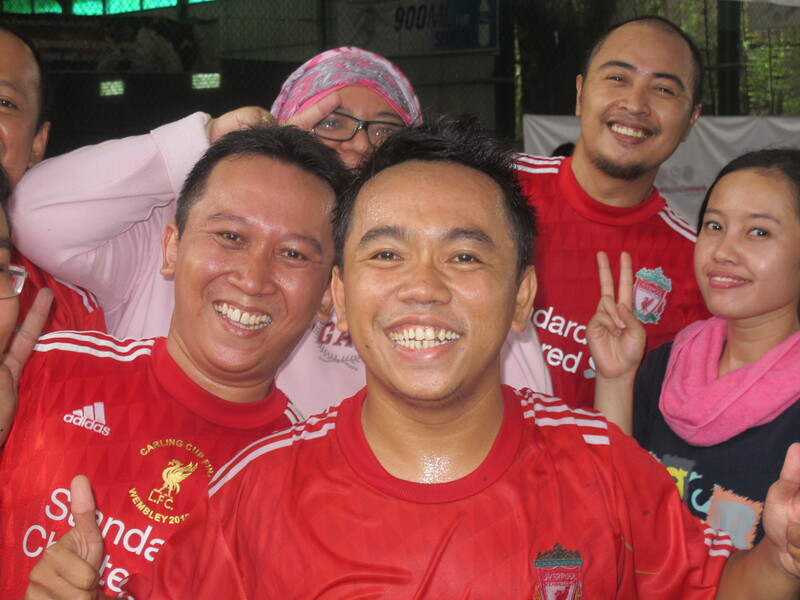 This marks the second year running the GOAL program in Jakarta, a CAC program championed by SCB to encourage youth to Be Healthy, Be Yourself, Be Empowered, and Be Money Savvy. CAC’s work with GOAL in Indonesia is part of a greater initiative with our valuable partners, SCB, in countries including Tanzania, Ghana, and India. 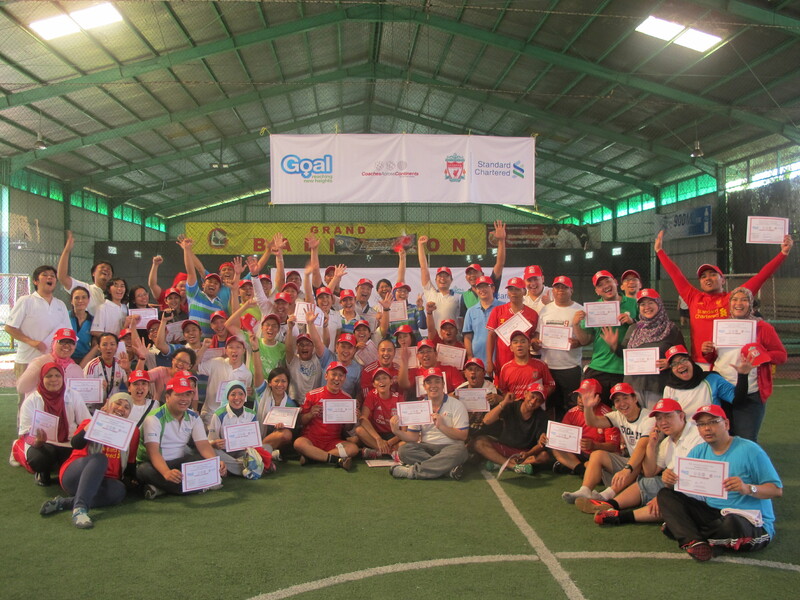 The full program in Jakarta is six days, the first three marking the Train the Trainer portion with a total of 150 SCB employees, and the final three being the implementation with the employees and 400 youth from local schools in the city. The first half of this training has been amazing. Not one of the SCB volunteers has had coaching experience before this week, but they are learning 13 CAC games in a single day and having a blast with their colleagues and the CAC team. This program has been different from other CAC trainings, as the coaches have only had one day to train each group of volunteers before they are expected to implement many GOAL games to large groups of adolescents. Yet every morning Brian and Nora were greeted with big smiles by a new batch of SCB employees, and every afternoon they left with bigger smiles, ready and eager to return over the next few days. We also enjoyed having five people who came to training who are visually impaired. Two of them worked for SCB while the other three were from the Blind Foundation. 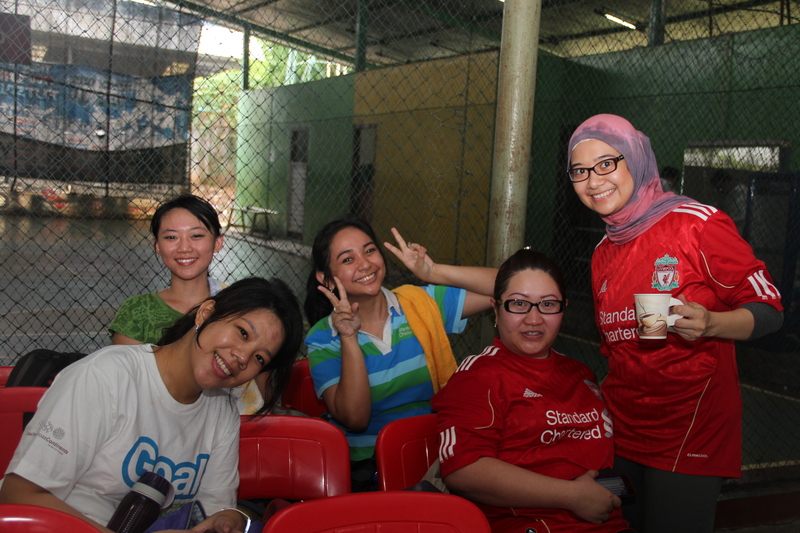 They participated in the games and had a fantastic time. The only difference in the training was the use of a ball with noisemakers inside so that they could hear the ball as it moved. They are hoping to be able to bring the games back to their groups in order to use them in the future. The only downside of this program is that the CAC team would love to have more time to work with all these great people. Working with them for only one day before hordes of teenagers swarm the pitches of the Grand Futsal facility is simply too little. With the help of SCB staff, however, the CAC coaches are truly making each day count. Brian and Nora cannot wait to be part of the first coaching experiences for this energetic bunch of bank employees. 400 teenagers, here we go! Next: Coaches Across Continents Speak at Beyond Sport!